Condition: Good. Been in storage for since 70's, so may show signs of weathering due to storage. FOUND! Limited supply of GENUINE, U.S. Mil. Bunny Boots. 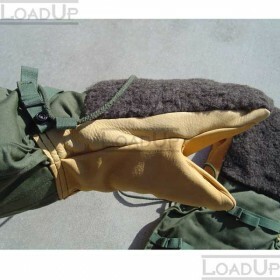 These are the ones that keep our troops' feet warm in the Arctic subzero temperatures! Our government buys these Boots for $200.00 a pop. These are the world famous Bunny Boots... 100% rubber inside and out, with two thick layer of wool insulation all around and underfoot plus... an insulating air pocket... all three sandwiched between the layers of rubber. 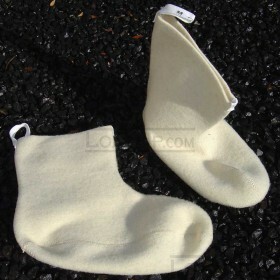 These babies will keep your feet warm all day on a deer stand, in a blind or on the ice. 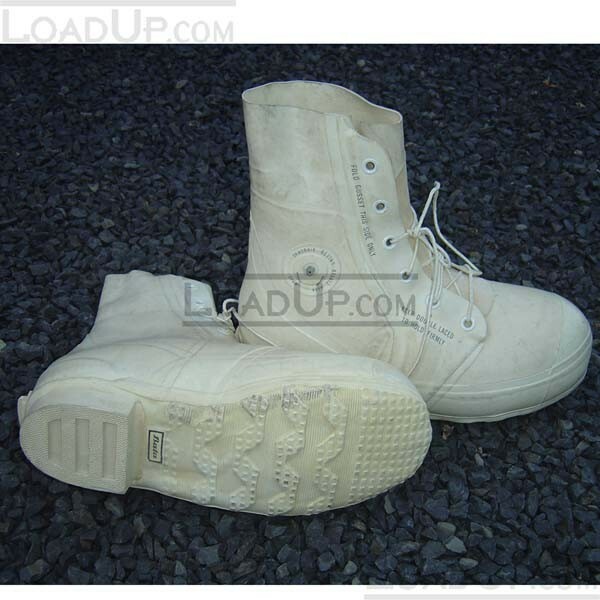 NADIC lab spec rate these white military Bunny boots good down to -60 degrees F. Customers rate them good down to -50 degrees F for about six hours. If your feet sweat, or if icy water gets in over the top, your foot heat will quickly warm the water and your feet still won't get cold. 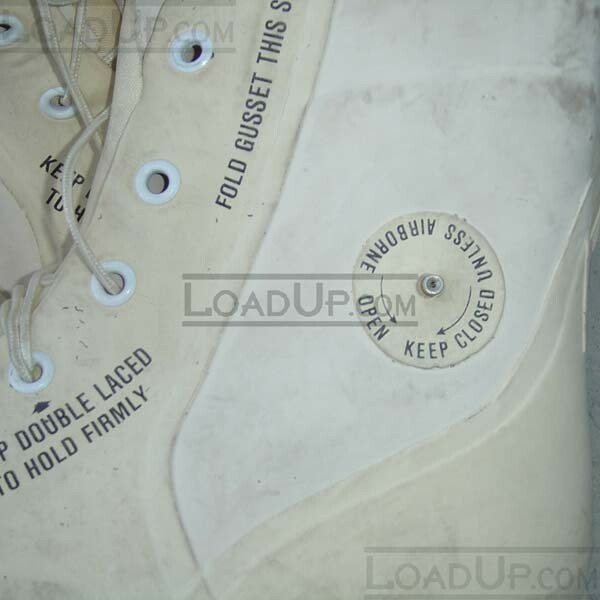 Rugged nylon laces go thru the second eyelet twice to lock your foot in place. Gussetted tongue keeps snow out and a heel wedge accepts ski or snowshoe bindings and doubles as a kick-off wedge. The interior is nylon lined for easy on and off. Has high-traction soles and heels and double-thick rubber in all wear areas. Built-in air valve pressurizes the Boot when our tropps are airborne. Stand 11 1/2 inches, weigh 53 ozs. Traditionally the Bunny boots are white and the Mickey boots are black. 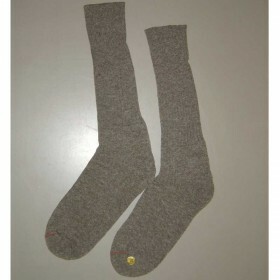 State Width: medium or wide; and Full Size, as available in the Shopping Cart below. Half sizes, order next larger full size. Ladies: order 2 sizes smaller than your normal ladies size. Order ONLINE now... these won't last long!